This bean dip is the classy Italian cousin to hummus, courtesy of the favorite Food Network chef of every straight guy I know, Giada De Laurentiis. Sure, I’ve been known from time to time to refer to her as “That Annoying Giada,” but girlfriend can cook. Is it possible that I’m jealous? No. Maybe. This recipe was shared with me by my friend Suzanne, and die-hard hummus lover that I am, I originally didn’t see the point of making it. 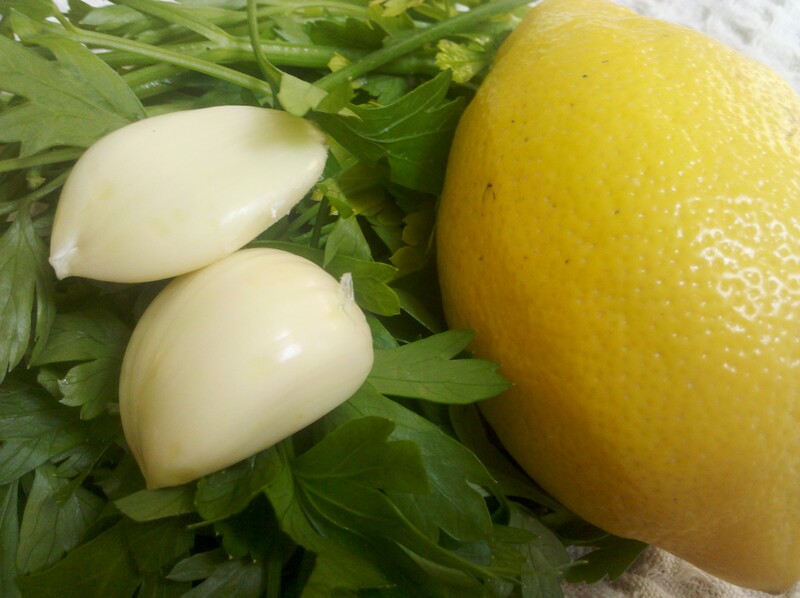 It has similar elements: beans, garlic, lemon, salt…and yet the fresh parsley and cannellini beans give it a unique identity. It is lighter, less dense, and less in-your-face than hummus; a nice companion to summer cocktails. 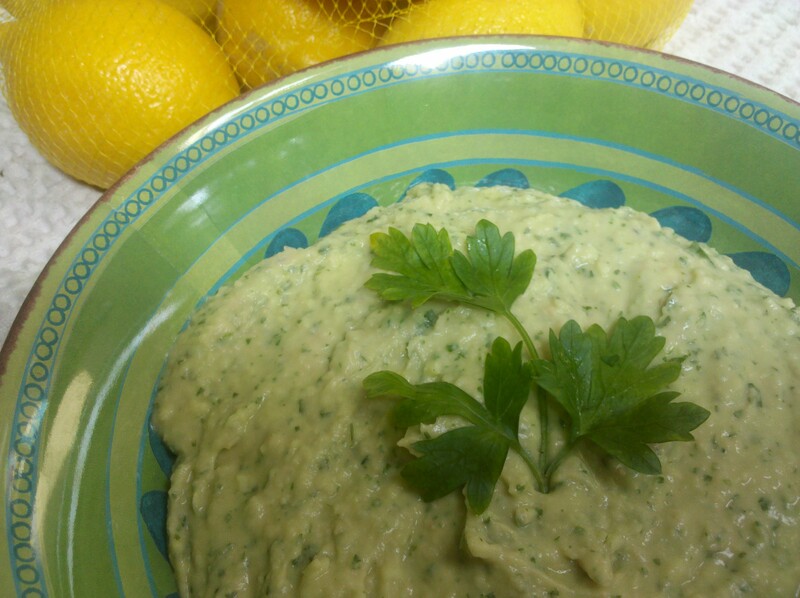 Whenever I find myself with extra parsley that is not long for this world, I whip up a quick batch of Giada’s white bean dip. This entry was posted in Appetizers and tagged white bean dip by Mom Mom's Apron. Bookmark the permalink. Your photography is just gorgeous! it’s hard to get food pictures just right and you’re doing it. What do you recommend serving this with besides bread? Hi! I like this with any kind of crunchy vegetable (carrots, peppers, etc.) or if you’re gluten-free, maybe corn chips or rice crackers. I made the dip today and will serve it with carrots, red, yellow & orange peppers. I will let you know what everyone thinks. It is for tomorrow. Great! I hope it’s a hit. The dip was a huge hit. Everyone loved it! I made homemade pistachio ice cream and brownies for dessert which really were a hit too. I’m so glad! Thanks for letting me know. Your dessert sounds wonderful and impressive, too! Thank you, it is to go with an Italian meal. I was thinking carrots too.